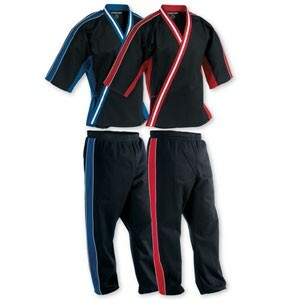 Let your team express themselves in this fresh uniform. The cotton/polyester blend material features mesh vents in the shoulders and legs for increased airflow to the body. The elastic waist in the pants also has a drawstring to reduce shifting.